Our Director of Operations, Julia Barker writes…. The scaffolding has been in the quire for a month now and will shortly be coming down in time for Holy Week. 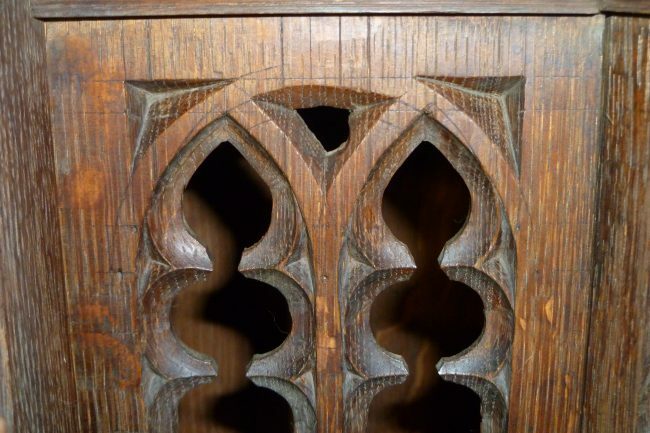 It has been fascinating to see what has been happening and just to spend time up close to such amazing craftsmanship. When you sit there and just look at the carvings you can see the skill that those men had; the way they put them together to get such a beautiful whole is amazing. The angels are just the most wonderful pieces of all. I will admit to having to sit on my hands at times as the temptation to just get the dust off makes giving up chocolate for Lent easy. 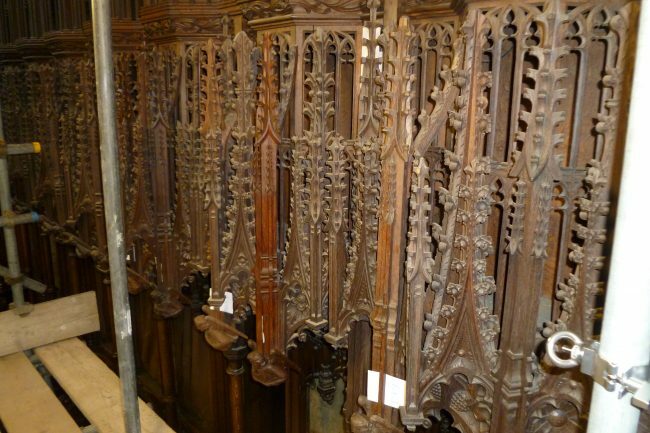 Whilst the conservator has been up there he has been cleaning different sections in different ways. Some sections just vacuumed; some vacuumed and laser cleaned; others vacuumed and then cleaned with solvents. This is a fairly standard approach with conservation cleaning of this type. Three sections then had a different finish, one was just burnished up, the next had a beeswax polish applied and the third had a resin and wax mix was brushed on. So many different versions to chose from. A group of people from the Cathedral’s Fabric Commission for England came up to see what we were doing and give us their advice. This will help us plan for the next stage of the work in the autumn. 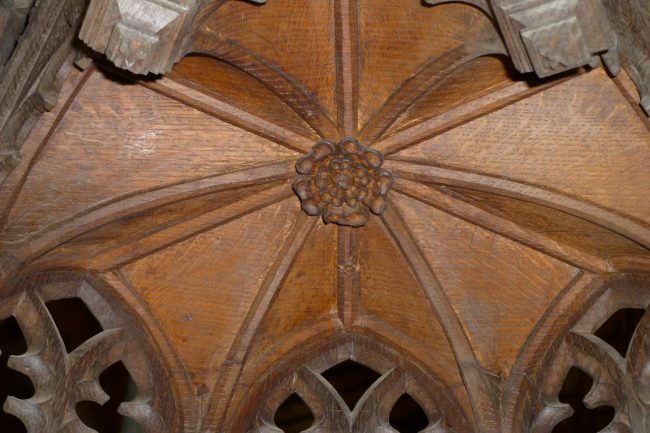 Some of the things we can see close up have included the little holes from the protractors used by the carvers to mark out the little arches before carving them and the small Tudor roses carved above some of the stalls. When the stalls were first carved this would have been a political statement of support by the cathedral for the King. I’m sure as the project continues we will find out so much more about the stalls.